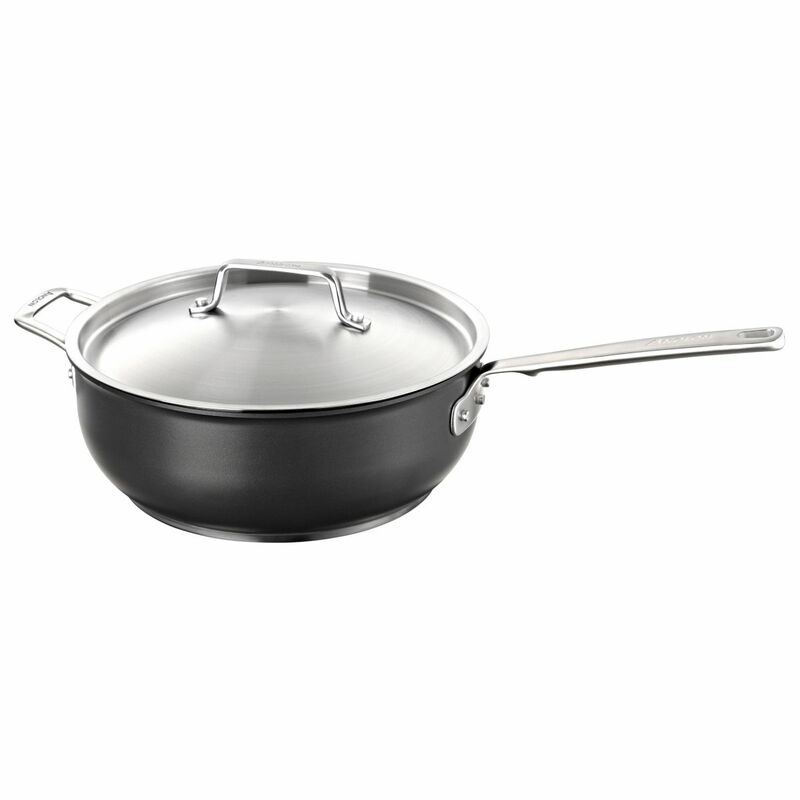 This 28cm chef's pan is perfect for cooking a variety of dishes such as braised meats, curries and stir frys. With a 5.7L capacity it's ideal for creating varying volumes of food. Made from hard anodized aluminium, it will be able to endure the toughest of cooking in your kitchen for years to come. Anodized aluminium also allows for efficient and even heat conduction, cooking food to perfection. With a triple non-stick coating this makes sure cusine will not stick to the pans surface during the cooking process, as well as allowing for a quick, simple cleaning process. The helper handle makes certain that you can carry a full pan both safely and comfortably from the oven to the table.